I've been working on my New Year's post in my head for a while now, and it's just not ready. I have so much to say but no energy for it at the moment. This week has been amazing and crazy-making at the same time. The worst part -- I spent almost the entire last week in bed. My pain management doctor went on vacation without leaving anyone in charge to write refills for pain meds, and mine are too strong for just anyone to write. While that sucked on a royal level of suckage, it also gave me some opportunities I may not have had otherwise. 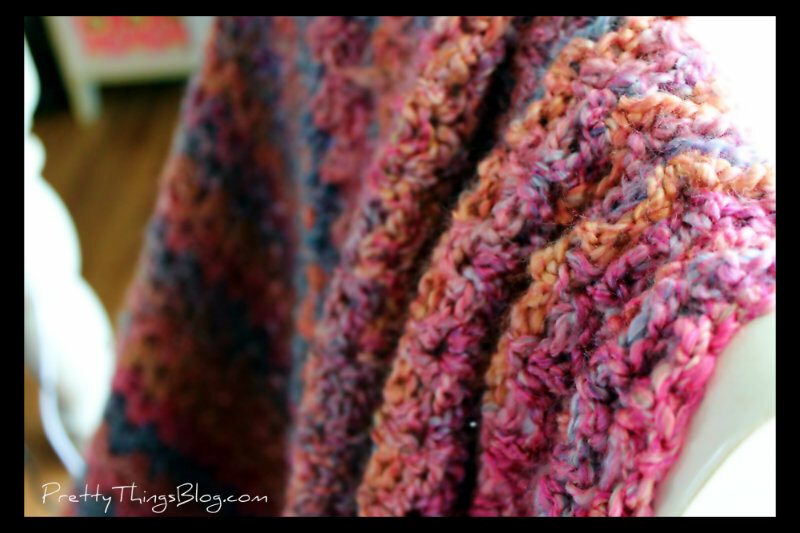 I watched a ton of movies, read a lot of books (including reading "The Hobbit" to Zack and starting the Lord of the Rings trilogy), and crocheted a bunch of blankets and scarves. Pain will not keep me from staying busy on some level! And since pain kept me awake longer hours, I had more time in which to enjoy these things. Looking on the bright side helped. Today I got my prescription filled and I'm taking advantage of being up to be with my family, but I'm stopping here for a quick photo view of the past month. Around the middle of the month, we drove to visit my Dad. 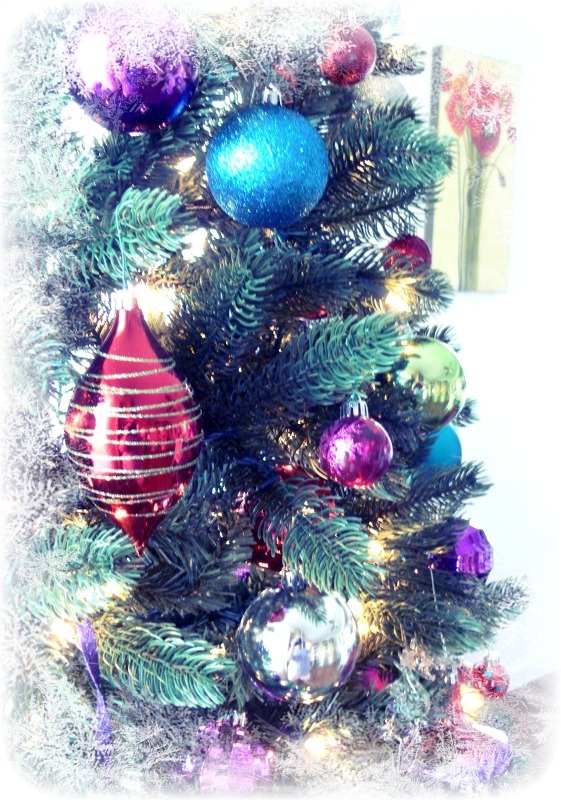 And what should my eye light upon first, as we walked in and gazed upon the tree? And there wasn't just one. There were three of the creepy things. 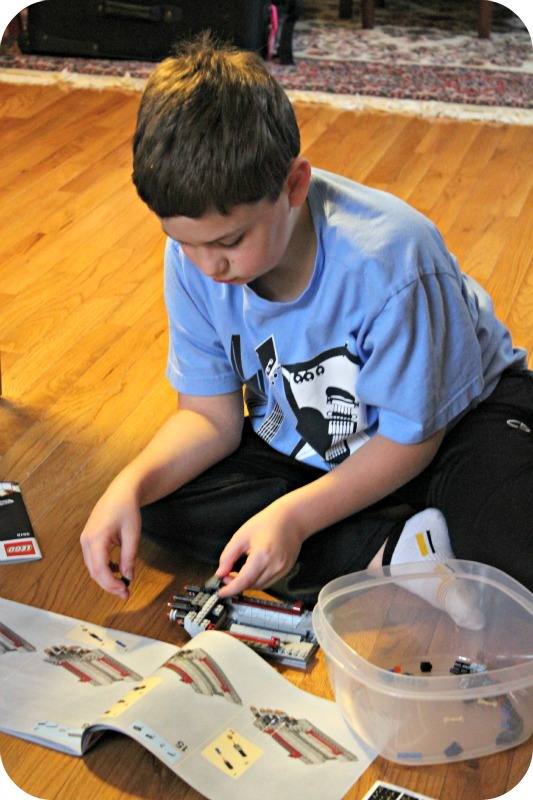 Mr. Ray, as Zack calls his grandfather, got him the LEGO kit he had been wanting for ages. 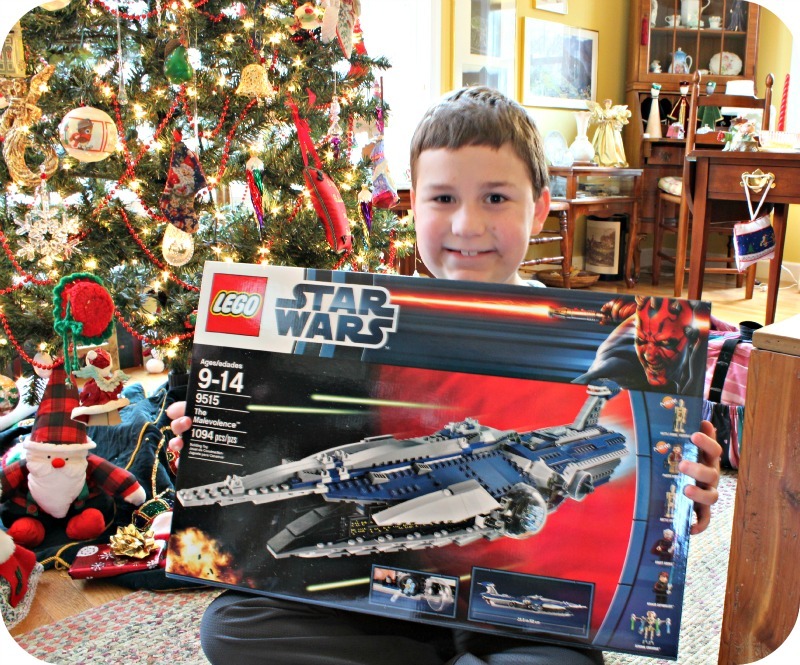 Every time I think SURELY we have all the LEGO Star Wars kits that could possibly be made, out comes another one! 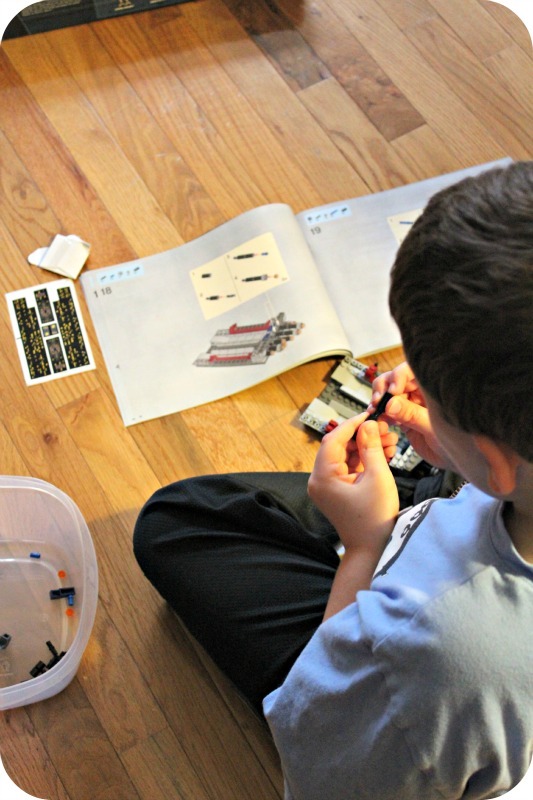 Pretty soon those LEGO instruction books are going to be as large and complicated as my Organic Chemistry textbooks. 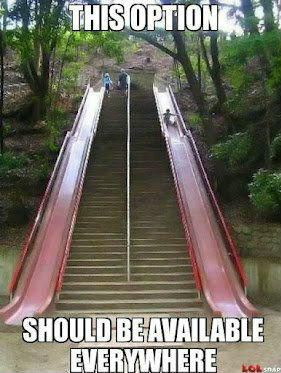 They certainly cost as much! One goal for this coming year? 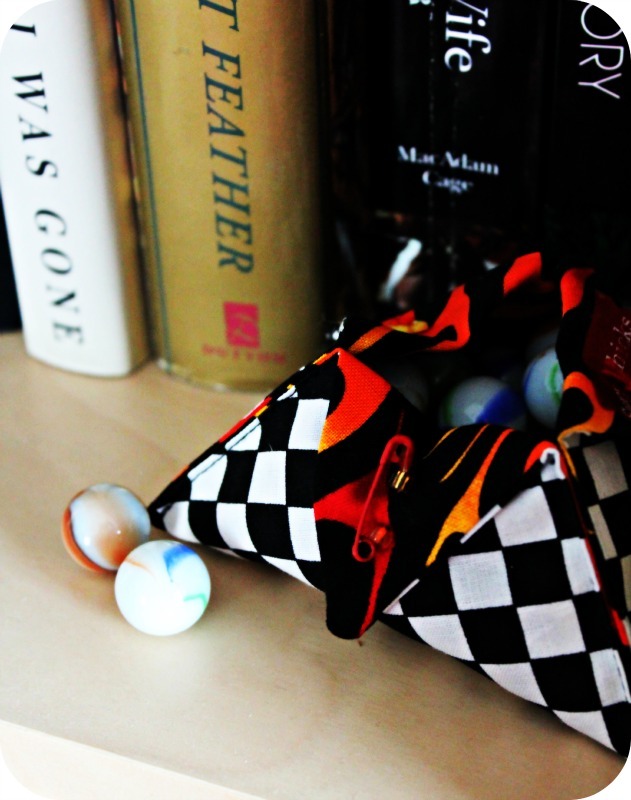 Holding on to my marbles. Our Christmas was lovely. I only wish it had snowed! 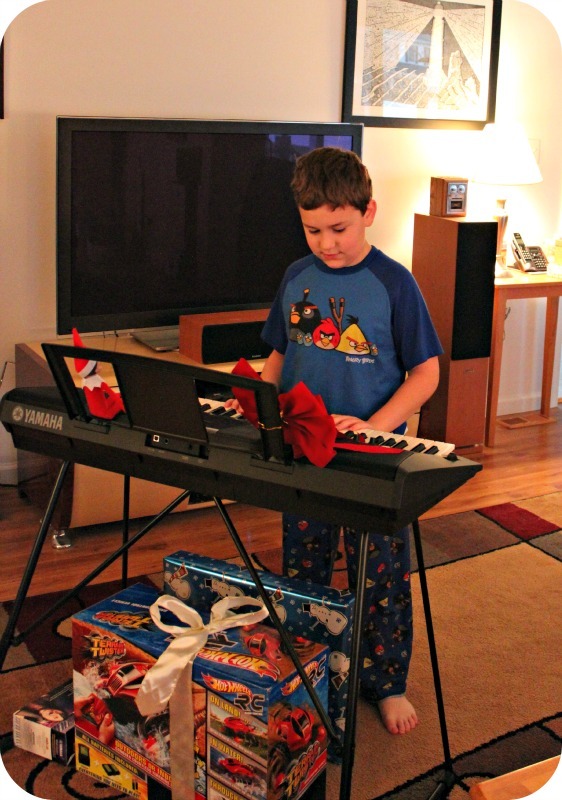 Santa brought Zack a keyboard with instructions to "share it with your Mommy". I wish we had room for a real piano, but now I can teach Zack how to play and eventually find a place to take advanced lessons myself. The highlight of the afternoon was being able to play the "Linus and Lucy" Charlie Brown theme. Rick and I give each other presents throughout the year since neither of us is very good at keeping secrets. I have actually lost some of the smaller presents I bought for the guys as I hid them TOO well. Their Christmas Eve tradition of opening an ornament was fouled up because the only ornament I could find was (thankfully) Zack's. I have NO IDEA where I hid those other ornaments. Or a few other small things. ANYWAY, because we give each other presents during the year, Christmas is not a huge deal between Rick and I for giving gifts to each other -- it's all about the boys. But he never ceases to surprise and amaze me. My favorite gift this year, I think, was a new addition to my vintage camera collection. 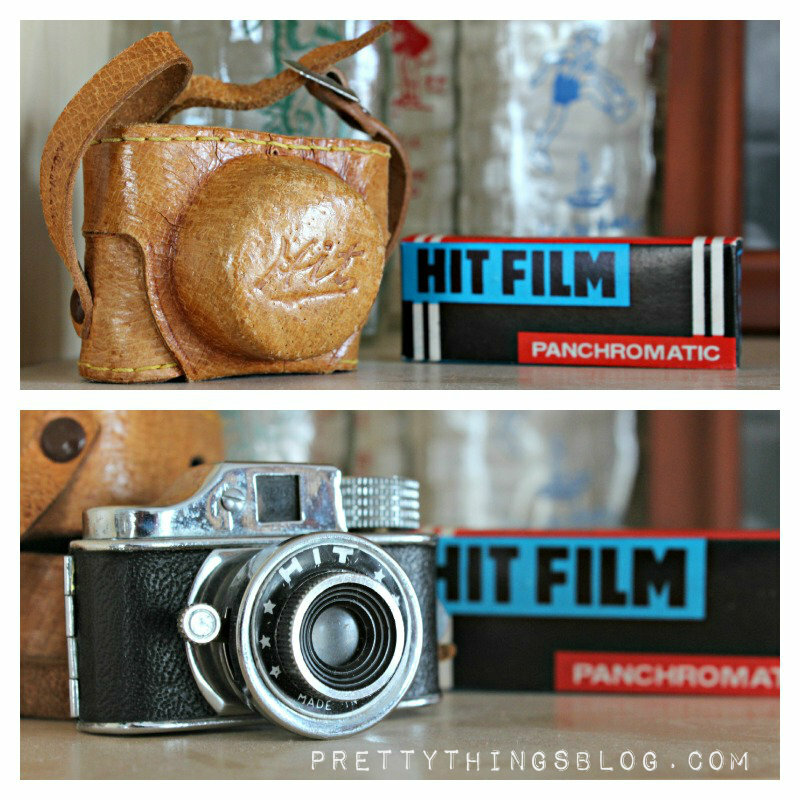 He gave me a miniature/spy camera and film to go with it. It's only about 3" long and I ADORE it. He also scored a deal on a bunch of vintage typewriter ribbon tins. While I collect typewriters, I have four adult and three toy ones and there's just not much room for any more, but there's always room for a cool tin! Remember me showing you this pink Panama ribbon tin some time ago? Now I have an orange one! I don't know why I love vintage tins of all different sorts, but I do, and this year I'm going to have to figure out how to build a case to display them properly. And lastly, we got a family gift of Trivial Pursuit. 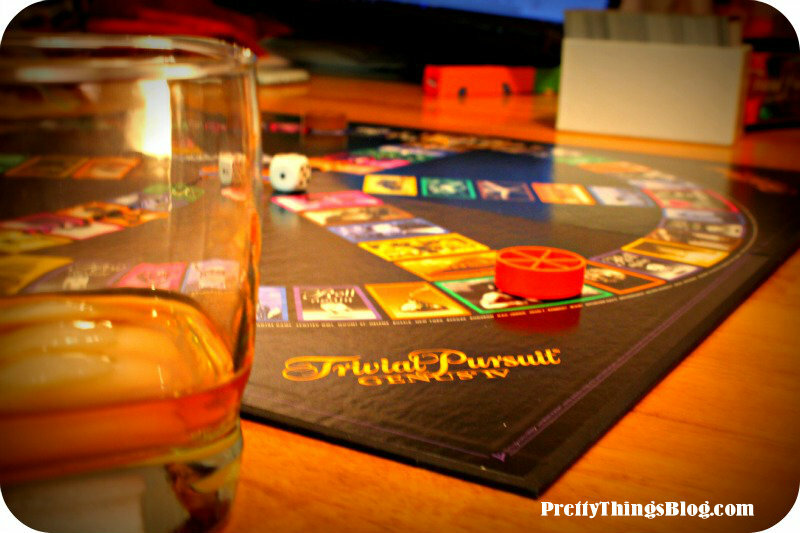 Whenever the older boys come home, playing games, particularly Trivial Pursuit, is high on the list of must-dos. Between Ebay and finding them in stores, we now have every edition of the game. We even bought the kid's version so Zack can play with us more easily. So here we are, on New Year's Eve, and I'm looking forward to tonight's game. I'm hoping to be able to sum up my thoughts of the past year and hopes for the coming year soon, and I hope they come out cogently and with the right expression. Thank you all so VERY much for visiting, reading, commenting, and emailing me this year. All of those things were an incredible gift. 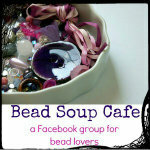 Just a quick reminder of two beading blog hops coming up soon. First is the Memories and Thanks Blog Hop, which will take place on January 12th. You can learn more about this blog hop by clicking here. 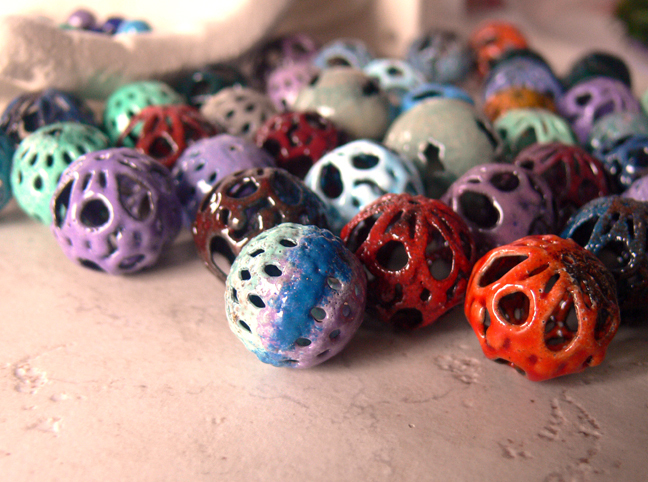 Technically, the deadline to sign up has passed, BUT, as this blog hop does not involve swapping beads, if you want to participate, you can email me by clicking here. 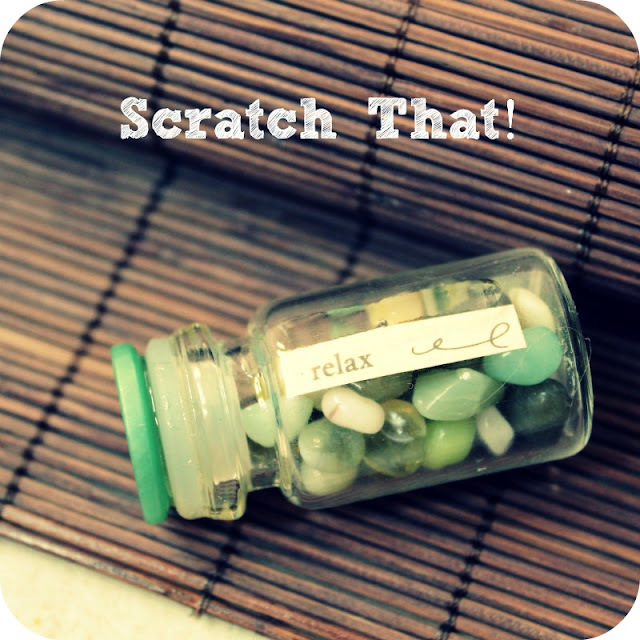 Next comes the Bead Soup Blog Party®, which is now only taking place ONCE A YEAR -- and sign ups are coming up fast! You do NOT want to miss this one. 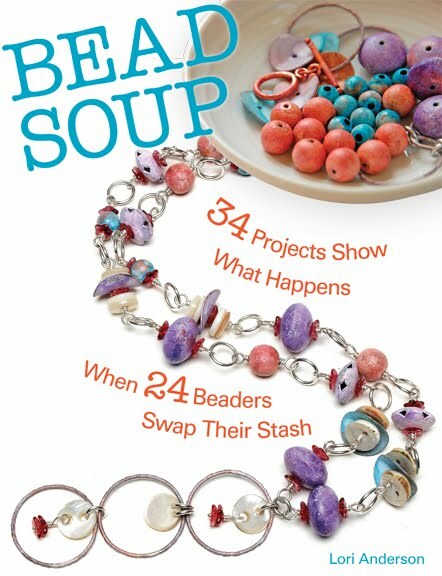 The last one had 400 beaders from all over the world, in all genres, in all skill levels, and the book about it (with tutorials and a gallery from past Bead Soupers) can be bought by clicking here. To learn about this blog hop, click here. To grab the button for your blog, click here. 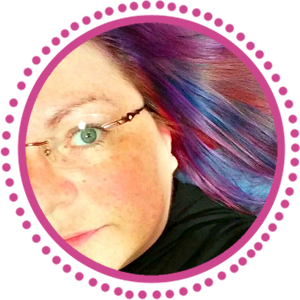 and see what the past six blog hops have been like. and you'll be inspired by all the creativity! I have several other unique blog hops in store for the year, but these are the first two! I hope to see you soon! Many, MANY times during my tenure of motherhood, I've felt a day late and a dollar short. 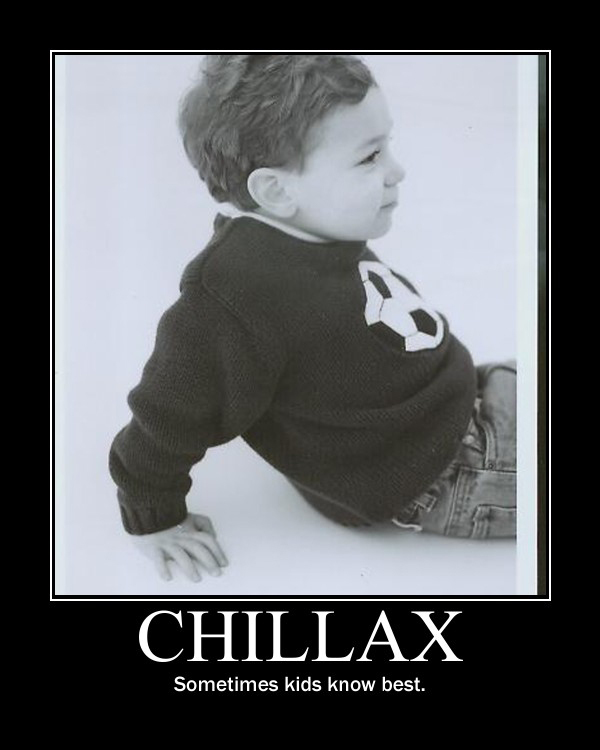 I keep finding out about things that would have been cool when Zack was three -- but now he's nine. And then I learn about traditions I just never knew about because we never did anything like that when I grew up. I've been noticing this mildly creepy looking elf in the bookstore along with the book "The Elf on the Shelf", but I bypassed it because if *I* thought the little guy looked a little .... freaky ... then surely Zack would, too. Last night, while reading "The Hobbit" to him (something I am at least on time with for once), Zack popped up out of bed and said, "Do we have any crackers????? Oh, and a glass of water." Well that was a little off-topic from Gandalf and My Precious but I'm used to that with Zack. "What kind of crackers?" I asked, starting to get nervous, because, you know... this is Zack. "If we put out water and crackers, in the morning, we get AN ELF!!!!" he exclaimed, clapping his hands. I, on the other hand, widened my eyes in horror because it's 8pm and Mommy has no mad elf-making skillz. "Um, honey, I don't know that elves always come out that way," I said, still frantically trying to come up with something because when Zack gets an idea going, it doesn't stop. No, it goes on and on until it's been completed and then some. After a little conversation about elves (we had this similar conversation about freaking leprechauns in March, I swear), we went back to reading "The Hobbit" -- but I was still worried. As I should have been. 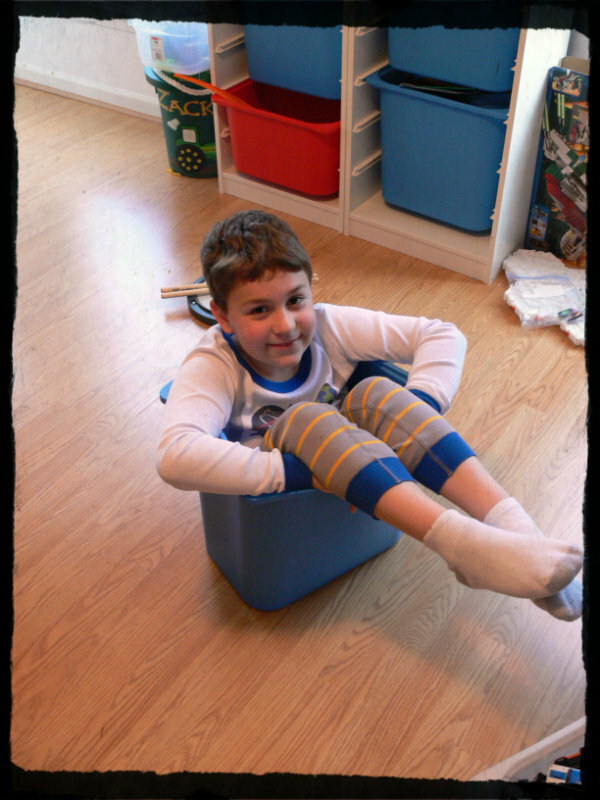 Because today, when we came home from school, Zack asked if we could go get an elf. But no. 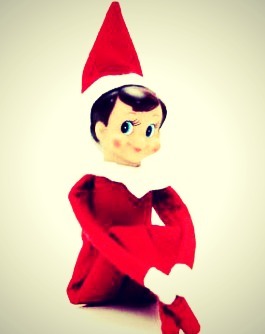 I did some research on the internet and found out what the hoopla about "The Elf on the Shelf" is about and I've already missed half the danged month. But next week, when we have a mommy/son play date to the book store, guess what we're buying? 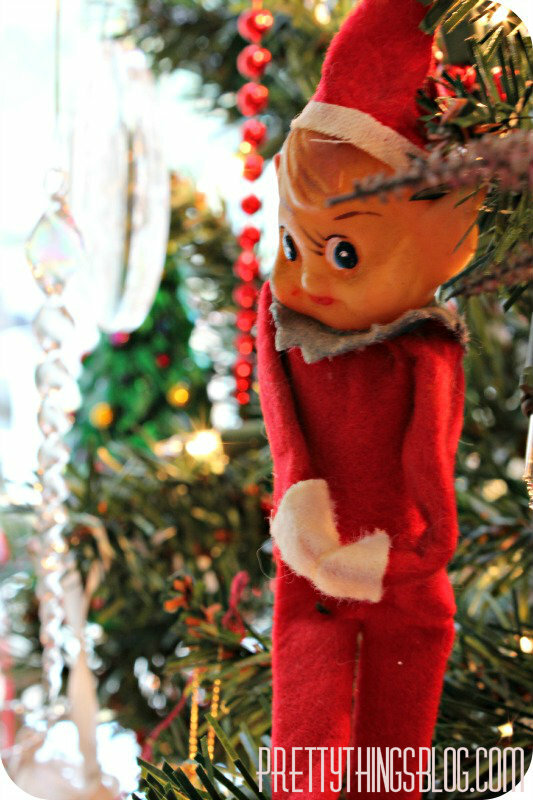 A creepy little elf. But it will make the boy happy. That elf just better not end up on my night stand in the middle of the night. As you can probably tell, I've not been blogging much. I sit down to blog, write a few things, then delete them. I've recently lost the respect of some people I cared about because they don't like how I blog or what I blog about, and the net result is I'm afraid of my own words now. I've been doing a lot of reading and thinking and wondering. Today I ran across this article that was perfectly timed, and I wanted to share it, as it hit me hard -- in a good way. It's an awesome article for anyone who's making life changes and tells how to safeguard yourself against opinions that can damage. I hope you'll take some time to read it -- it's not long and really, really good. I've learned a lot of things this year, and I'm absorbing it all and hopefully will be able to make more positive changes in my thinking. Therapy helps a LOT. I've learned that a friend doesn't necessarily have to be physically in my neighborhood, but can be an online friend, or a distant friend I haven't seen in years. And it's better to have no friends or family at all than to constantly be wondering why I'm not good enough for respect, empathy, or understanding. I have my husband and son and they are indeed the best things that have ever happened to me. There is such a thing as unconditional love. Really, I wish I had been able to write that article -- it's so very perfect. I am 100% responsible for how I feel about my life, so I'm 100% responsible for who I allow in it and what I allow to bother me. Friends, family, co-workers -- they can be toxic or hurt us with passive aggressive (or just plain aggressive!) words, but we don't have to take it. It's up to any of us to decide whether a relationship is fixable or not. Just don't wait so long to decide that you end up hurting your own feelings. 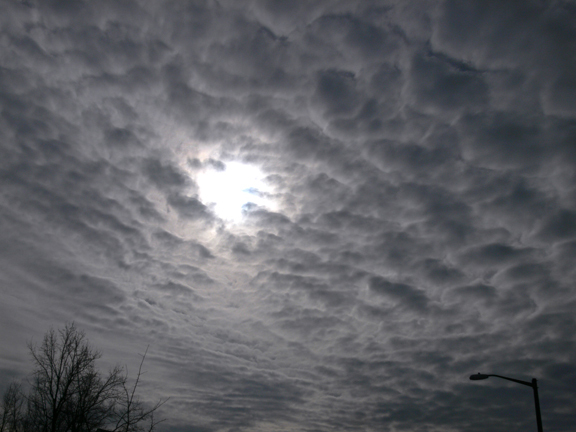 Light shining through clouds outside my home. Next year is going to be a banner year. I can feel it. With all the changes I'm making now, the things I'm tentatively exploring and the things I'm rapidly embracing, there's no way it can't be. 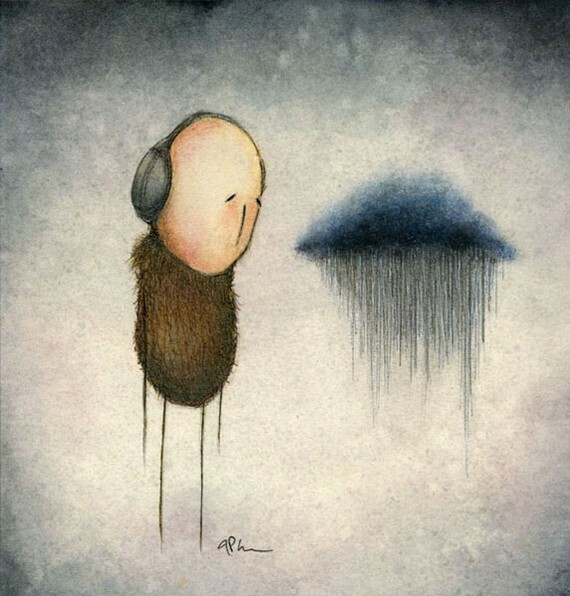 My word for the year IS "metamorphosis", after all. I think I'm ready to break out of that chrysalis. 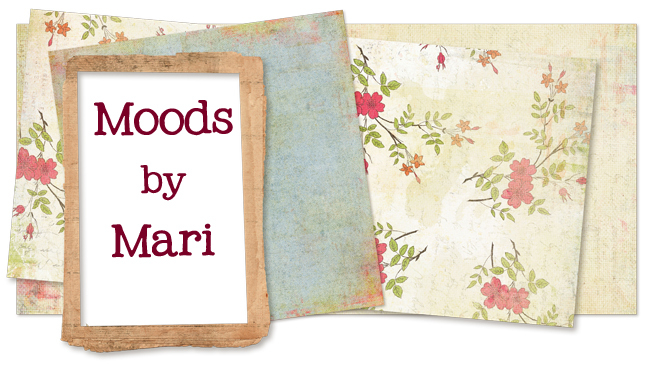 I am overwhelmed at the outpouring of sign ups for this special blog hop. If you are just now learning about it, click here to read about its premise. I can add people still, but below is the current list of participants. The blog hop doesn't occur until January 12th next year, but why not visit the participants' blogs over the holidays when you are enjoying some down time with a glass of something yummy (and pie, of course. Always pie). See you January 12th next year for the hop! Zack has been working all year to earn an X-Box. I refused to buy another gaming system so told him if he wanted an X-Box, he had to pay for it. It was hard for him, because there were other things along the way this year that he "REALLY HAD TO HAVE" (emphasis his) and he dug into his money for those, but after all, this was a lesson about saving to buy something and if he wanted to stall the process a bit for something else, it was good for him to learn and figure things out along the way. He finally earned his XBox and just as Christmas stuff starts making its way earlier and earlier into the stores (say, after Mother's Day), so do the Black Friday events. It's not Friday, but a local store is starting their Black Friday at 8pm. And I thought I could make a memory with Zack, much like driving to look at Christmas lights, by taking him to this Black Friday event and treating him to a new XBox game. First, let me say, I am very pro-buy-handmade. When someone can hand-make me a LEGO Lord of the Rings game, I'll gladly buy it. But it is really tough to buy a nine-year old kidlet handmade, although I've done pretty well with the older boys this year -- so far, all but one thing is handmade by someone NOT in a big corporation. 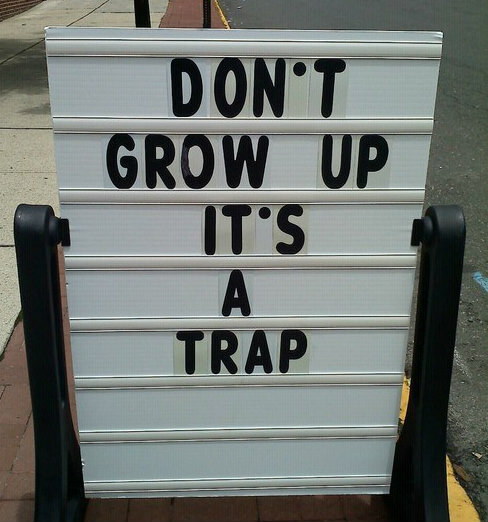 That being said -- those of you with boys in the throes of video game and LEGO ecstasy, you know my pain. Now, the store was going to open at 8pm. I'd done my research and there is no independent video game store in our driving area, so we were faced with the ubiquitous local Wal-mart. Heaven help me. I figured we would go in, go straight to the game section, get it, get out. Obviously, I've never done a Black Friday, in like, ever. My older stepsons, who've been through a few Black Friday shopping excursions themselves, looked at me like I'd said I was going to feed Zack Nyquil with a bourbon chaser when I blithely mentioned our plan. Did I remember this is a child who doesn't do well in crowds? Or that loud noises can sometimes freak him out? And when pushed, I've been known to throw an elbow? I guess the decision to go out tonight ended for good when Zack showed up to go with a bat in his hand. Me: "Um. What's up with the bat, buddy?" Zack: "Weellllll. 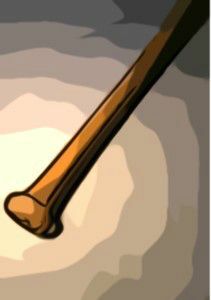 I heard that sometimes people get KILLED on Black Friday. (Insert big eyes here. His. Then mine.) I don't want to get killed. But I PROMISE I won't hit anyone. Think it will scare them?" Well, it scared ME! (Who told him those stories about Black Friday, anyway?????) His older brother found a way to download a game to his XBox and I ordered the other one. So we came up with a new tradition -- skip Black Friday in big stores and instead enjoy pie with whipped cream, ALL made by scratch. You never know what you might mean to someone. 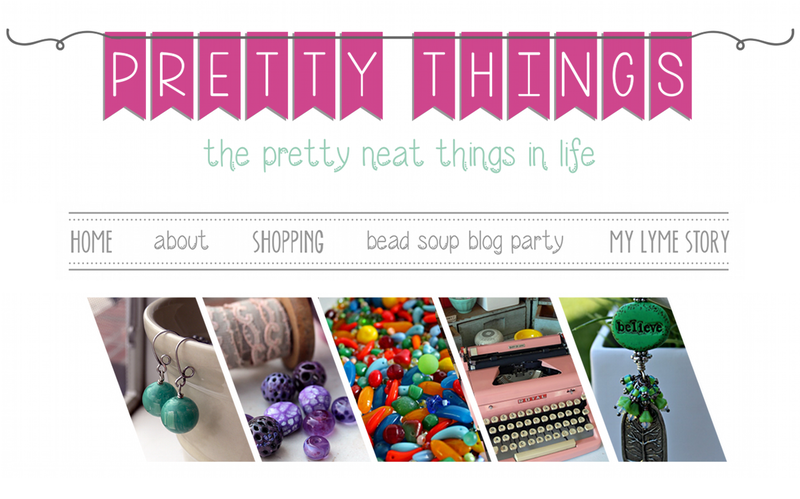 In order to participate in the Bead Soup Blog Party, you need to have a blog. My friend Marianna emailed me, excited about the party but needed help to build a blog. No problem. We talked about what she wanted and I made it for her, and she started blogging. 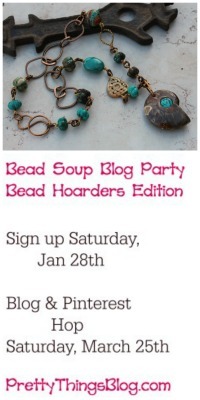 The Bead Soup Blog Party came and went but Marianna hadn't signed up. I'd sent her a few emails to see how she was but there wasn't a response. Then one day, her daughter emailed me to let me know Marianna had suddenly passed away. That news just took the breath out of me. I miss her emails and constant cheerfulness. Then a few days ago, I got a box in the mail from her daughter. I knew the box was coming, and that it had something in it from Marianna that she hadn't had a chance to mail before her death. What I DIDN'T expect was for each bead to be individually wrapped with Marianna's personal messages attached to each one, and a card that told me how she valued my friendship. I can't let that go. 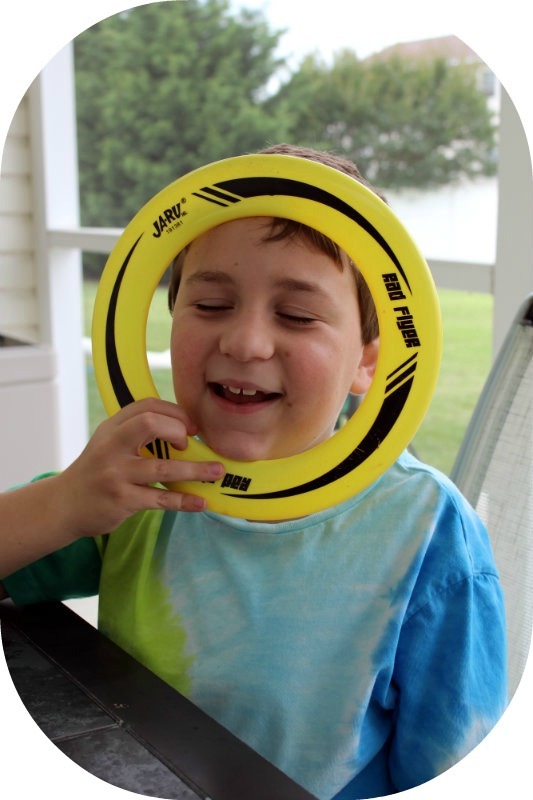 This blog hop is both for Marianna and for those people in our lives who mean a lot to us -- a mom, a friend, a brother -- anyone who has meaning to us. Create a piece of jewelry that tells that story. For instance, Marianna loved red and cardinals, so if you would like to make something in honor of her, you could use red, or you could use beads of birds, leaves, trees, nests, eggs -- things like that. If you have a friend you want to remember and thank and she's a painter, you could make a necklace full of the colors she often uses in her paintings. Sign ups are officially closed, but I can still accept people if you email me your name and blog by clicking here. Grab the blog button from above and link to this page. (Right click and save the button to your computer, then use the Photo Gadget in Blogger, and enter this page's html link in the line for html. Free to resize the button as needed). (This blog hop does not occur until January 12th, but with the holidays, I wanted to post the sign ups now). But don't wait until January 12th to thank a person who means a lot to you. Thank them today! And if they, like Marianna, have passed to a new place, write them a note, anyway. Keep it, and open it to remember there are people in your life who touch it and make it better.